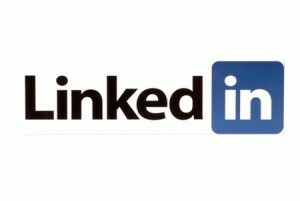 Currently one of the fastest growing social media networks in the world, LinkedIn continues to demand more attention from job-seekers and internet marketers alike. With so much going on in the world of social media these days, you want to be sure to have a game plan for reaching out to consumers and followers on every network. When dealing with LinkedIn, many people have an impression that it is only useful for business to business relations or that you’ll only be able to reach employers. Neither of these misconceptions hold water, and we’ll discuss below three useful and important marketing metrics that any campaign strategist should know before making their next big push on the network. Many people think about Facebook and Twitter when it comes to driving traffic from social media to their websites. While these two networks can be great for pinging users with shares and stories, it is not a great medium through which to drive direct traffic to a website. A comprehensive study of referral traffic has shown that LinkedIn is responsible for generating nearly twice as many clicks (in terms of percentage) to standard websites as Facebook, and nearly four times as many clicks to corporate websites. When marketing on social media, many will find that an approach that aims to drive traffic directly to a website will be more productive through LinkedIn. LinkedIn has hundreds of millions of users – many of which are casual users who like to keep a good appearance on the network. The most active on LinkedIn, however, usually have some form of industry or corporate involvement that leads to them consistently using the network. Because of this, posts and updates that highlight industry insights and metrics can be a sure-fire way to gain more attention for yourself or your brand than traditional shout-outs or content sharing. When pinging users with something that is relevant to their industry, you can expect a multiplier when it comes to the number of people who will click, share and discuss. LinkedIn is still different from other social networks in that it is built around professional behaviour. Because of this, the times at which LinkedIn is used usually mimics that of white-collar industries. You won’t find a lot of activity on the network at nights, on weekends or after business hours in general. Because of this, users and marketers will want to be sure to share, comment and discuss during the morning or early afternoon hours on weekdays. Since content has a half-life that is just a few hours in length, it is virtually certain that no one will see a post you made last night when they wake up in the morning to check for updates. With these three LinkedIn metrics in mind, you can now figure out better times to publish content, what to publish and how to boost traffic to your brand’s websites or blogs. By sharing during morning hours, highlighting industries of interest and including links to your website in your profile and in posts, you’ll boost social media exposure through the network and grow your website’s traffic. Which Content Marketing Metrics Are Most Important to Track? Why Am I Losing Email Subscribers?